When I read an early copy of Station Eleven, back in May, I was immediately blown away. Here, the incredible promise Emily St. John Mandel had shown with The Singer's Gun and The Lola Quartet, had been fulfilled. I was enchanted that wondered whether, as a long time fan of Emily's, I was perhaps biased. Was I seeing excellence where I wanted it to be. This book was good, but could it really be that good? So I asked the rest of the staff to read it. They universally concurred with my judgement. We all love this book. 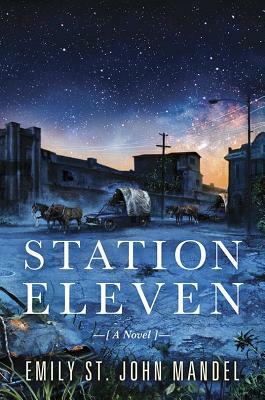 Station Eleven is a book that often demands an instant re-read to maintain the immersion in the hope filled world Emily creates. This is both a love song to the world we inhabit now and a testament to the enduring promise of humanity.